Home › Blog › Summer Mission Opportunities! 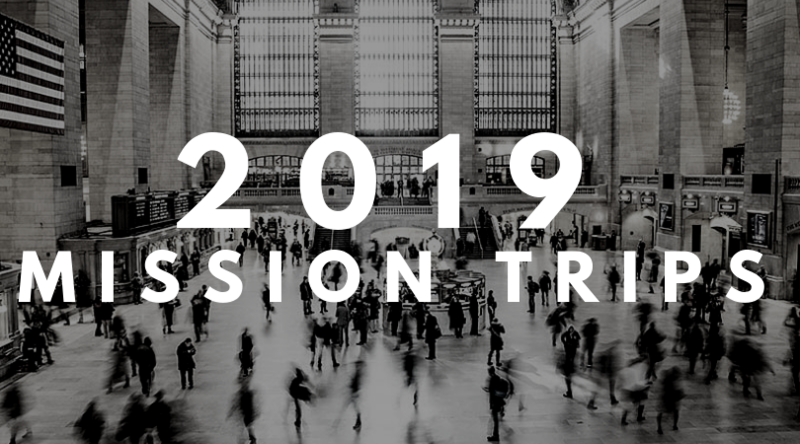 Sterling United Methodist Church has announced two Summer Mission Trips for this year and applications are now available! The first trip is scheduled for July 7-12 heading to the UMCOR (United Methodist Committee on Relief) Sager Brown Depot in Baldwin, Louisiana. The UMCOR Sager Brown Depot is the hub of UMCOR’s relief-supply operations. Each year, more than 2,000 volunteers prepare about $6 million in supplies for shipment from the Baldwin facility. Locally, UMCOR Sager Brown reaches out to it’s neighbors through food distribution and housing rehabilitation projects. Volunteers that visit the facility are engaged in these projects to help local families and elderly. Volunteers are also able to assist at a shelter for survivors of domestic abuse and a women’s teen challenge center for drug and alcohol addiction. This assistance involves assistance painting rooms and sorting items in their Thrift Shops and Food Pantries. To help meet the nutritional needs of local children, volunteers distribute food items to parents from the Preschool Food Pantry at a local Head Start school. They also have the opportunity to read to children at a local Head Start Center. This mission is designed to accommodate younger children age six and above with an accompanying parent and everyone over age 12. The participant cost for this trip is $375.00. The deadline for application and deposit is 3/16/2019. The second trip is targeted to our youth in support of the Pittsburgh Project, in Pittsburgh, Pennsylvania, and is scheduled for July 15-19. The Pittsburgh Project is a Christian nonprofit community development organization with a thirty-two year history of service to the Pittsburgh area through investment in future leaders and assisting vulnerable homeowners. The Pittsburgh Project is located on Pittsburgh’s Northside, and operates a progressive series of youth after-school programs, welcoming partners year-round to serve community homeowners. Their Summer Service Camps engage young people in short-term mission experiences within the Pittsburgh area, providing valuable home repair in a transformative setting. Our youth and adult leaders will partner with community homeowners by addressing repair needs and investing in their spiritual lives, leaving their workspace with lessons of generosity, humility, and understanding. This experience is open to youth and adult leaders ages 6th grade and above. The cost to the participant is $155.00 and the deadline for the application and deposit is 2/17/2019.